Coto De Caza is a well-planned gated community that is beautifully positioned on the edge of the Saddleback Mountains. Offering a peaceful and beautiful retreat from the hustle and bustle, Coto De Caza sits on more than 5,000-acres and is home to many large estates and prestigious golf course homes. Residents praise this community for its peaceful ambiance, yet love that the community of Mission Viejo is only five miles away. Coto De Caza real estate owners also enjoy a number of excellent recreational offerings, including fields and courts for baseball, football, soccer, tennis and more. Golf, horseback riding, swimming and bike riding are also popular within the community. In fact, right next to Coto De Caza is the Riley Wilderness Park, which is home to more than 500-acres of woods and trails for year-round enjoyment. Two 18-hole championship golf courses and the Coto Valley Equestrian Center also keep residents’ recreational needs met. Homes for sale in Coto De Caza range from traditional single-family homes in the $400,000 range to luxurious estates fetching price tags well above the $1 million mark. 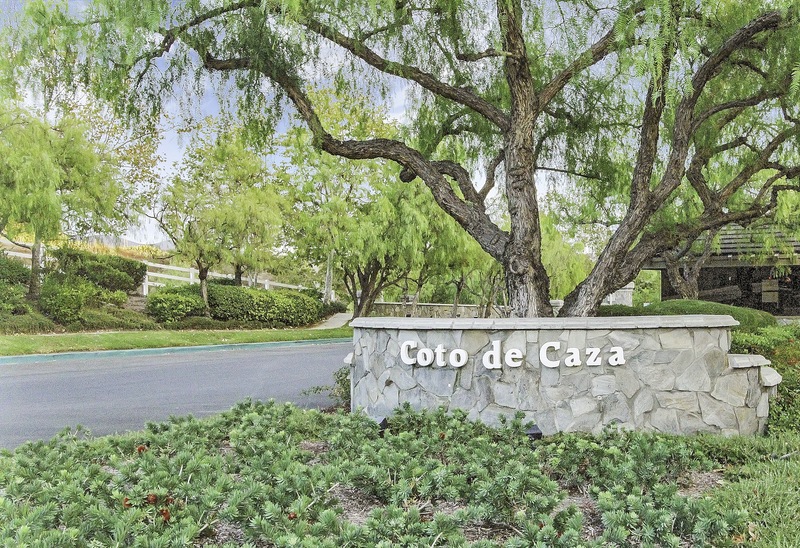 Living within Coto De Caza is like living in a five-star resort. When you choose to explore the real estate choices available to you here, you will not be disappointed. Orange Country real estate experts, the team of professionals at Cesi Pagano & Associates has assisted countless buyers and sellers with their Coto De Caza real estate needs. When you’re ready to take the next step, do not hesitate to contact them. They look forward to hearing from you and to sharing their knowledge and expertise with you. Connect today!